A retro legend that all schoolgirls of the 80's remember, our My Little Pony clothing is back to help you relive your childhood! If you were a fan of the original Hasbro toy line you'll remember the awesome features like the wiggling ears, swishing tail and a right eye winking feature that brought these colourful friends to life! While My Little Pony disappeared from the public eye in the early 90's it's back and more popular than ever! With the launch of My Little Pony: Friendship Is Magic, the hit TV show that created a whole new generation Equestria fans, where we all became obsessed with MLP to the point where our bedrooms where full of posters, cuddly toys and figures for years after! 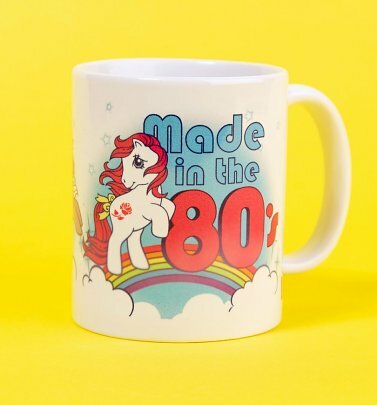 Represent your favourite member of the Pony squad, we've got vintage gear featuring Rainbow Dash, Applejack, Princess Luna and everyone else you can think of! 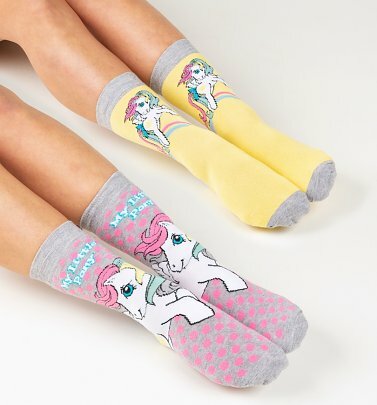 Sink your hooves into some of our colourful My Little Pony merchandise which is sure to set you on your way to your next adventure. Add a touch of nostalgia (and sparkle!) 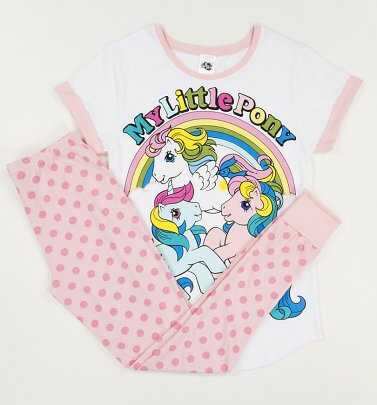 to your wardrobe with our vintage My Little Pony T-Shirts & retro bed time accessories which will ensure you have the perfects night sleep, guarded by your oldest friends! 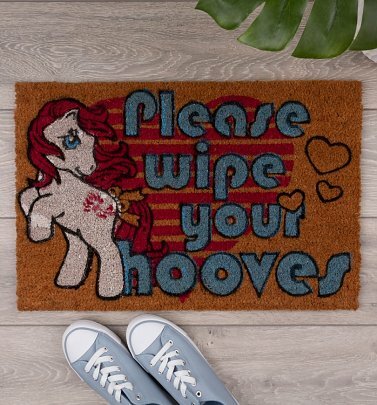 Shop online for My Little Pony clothing for adults and kids, gifts and accessories which is sure to have you riding into the sunset, order online today at TruffleShuffle.